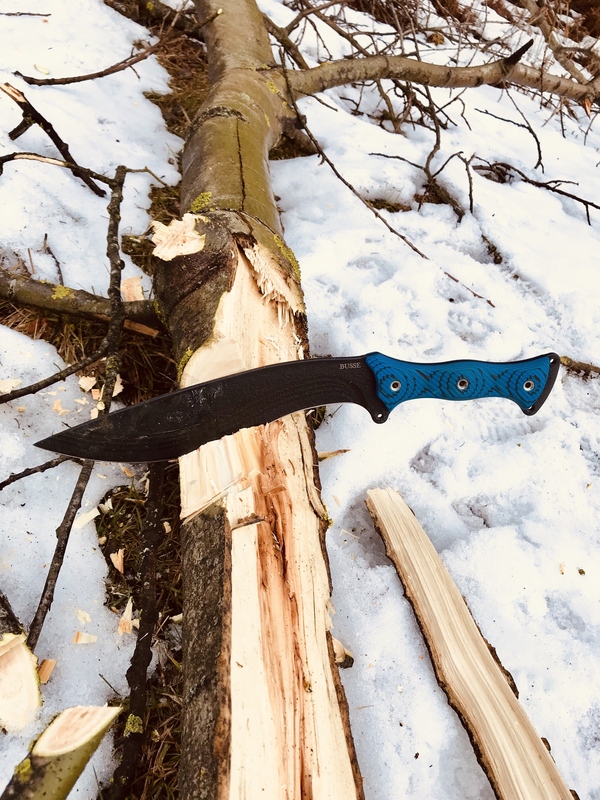 Discussion in 'Busse Combat Knives' started by gorshi, Jan 30, 2019. Few days ago received HUCK! 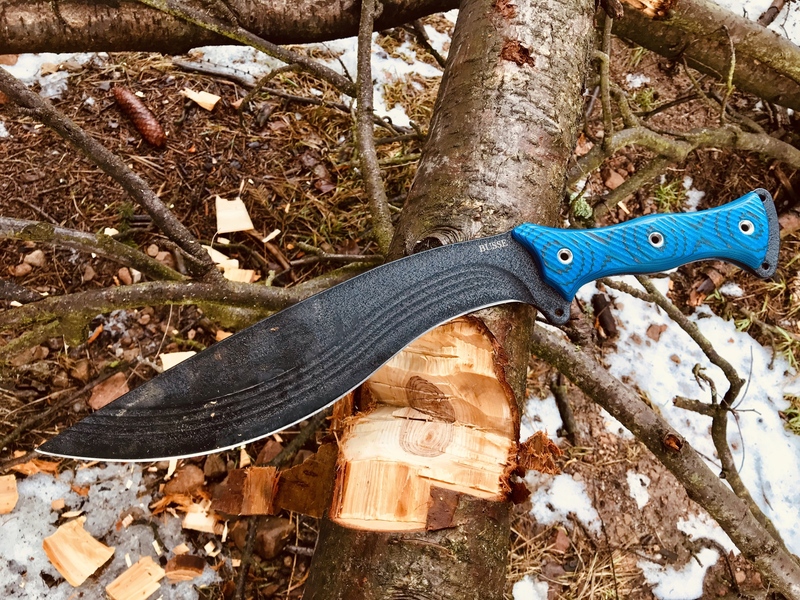 I’ve always wanted kukri but never had luck with traditional knives made in India. Issues with edge retention, broken handle etc... I missed HUCK during regular offer so now, when it appeared for affordable price , I grab the knife immediately. 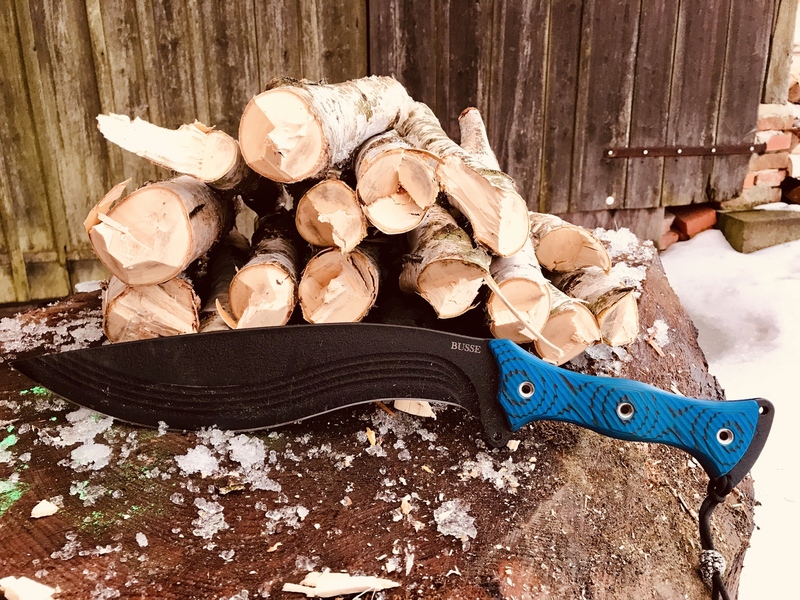 On the first sight Busse kukri is absolutely somewhere else in quality, fit and finish and of course durability. The knife has acceptable weight and thickness, comfortable long handle and feels light and quick in the hand. I’m really looking forward to try HUCK in the woods as soon as possible! Hope I will add some pictures and short review in few days. HUCK screams to be used & abused! 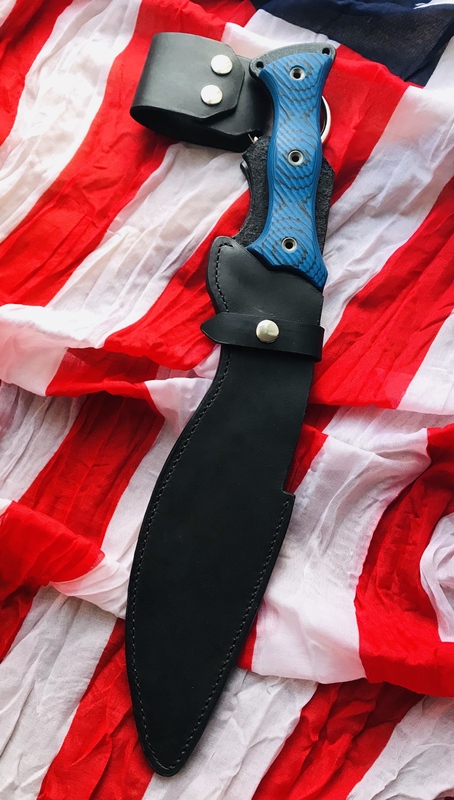 This is also my first Busse with black and blue g10 handles. I was little sceptic about them but they look killer in real! No complaints! I made leather sheath for this new baby. It was little bit challenging. But I’m satisfied with the result though there are some small imperfections. inkynate, Beastchopper, donscpoo and 9 others like this. Very nice and I love the sheath as well. I really like the blue G10 as well as the orange black G10. Nice leather working there man! You have some talent and skill. Thanks for all your kind words guys!!! Very nice work on the sheath. Thank you for posting pic's. Hell yeah! This thing can chop! donscpoo, hydeinmind, evltcat and 6 others like this. MEAT?????? with a huck fin?? I LOVE IT!!!! Thanks. It’s fun to do all that chores with big blade. 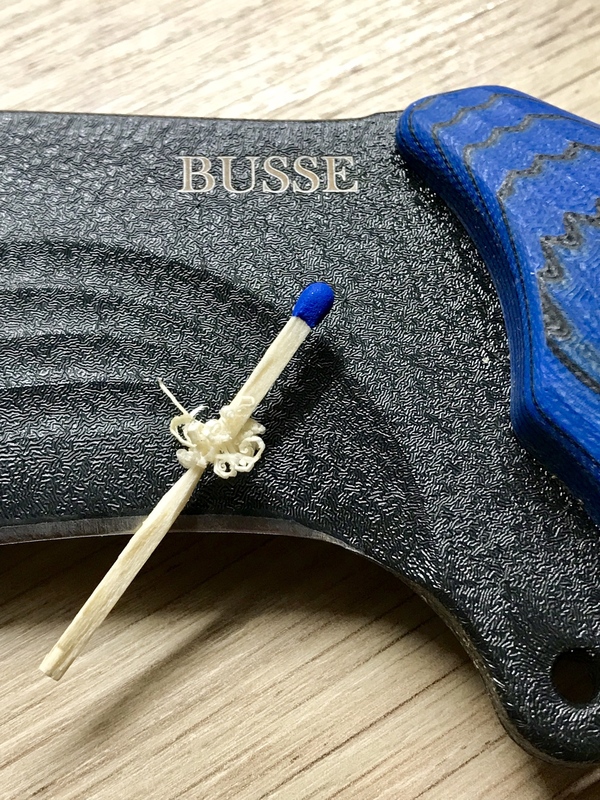 It’s true magic of Busse - even with ultimate chopper you can do small things. So what about some feather sticks? donscpoo, hydeinmind and Leonardo63 like this. Great thread! Love to see the big blades getting used and abused. Excellent work mate! Bash the snot out of it!! 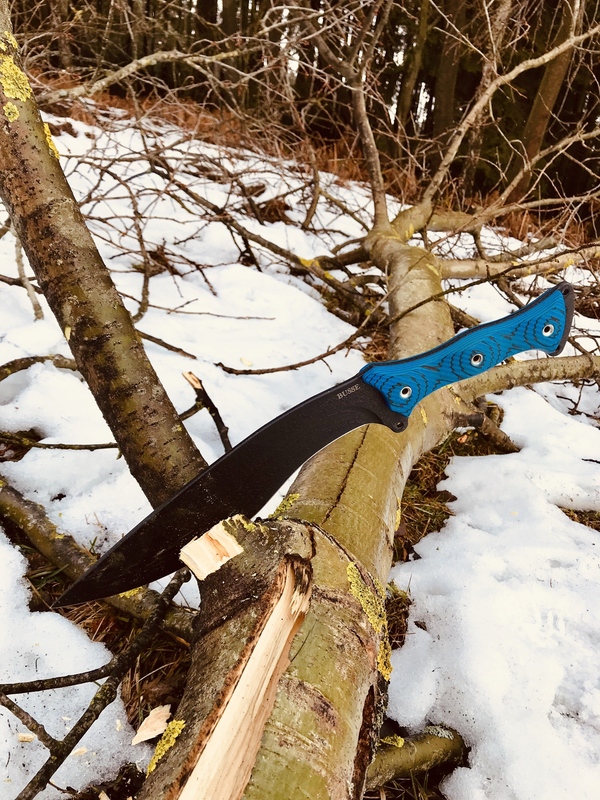 Just a HUCK ...seriously though, awesome pics and sheath. I also did today a short comparison with my first go to chopper. And I have to say that NMFBM is still a winner! The blade geometry - convex grind makes definitely the difference. 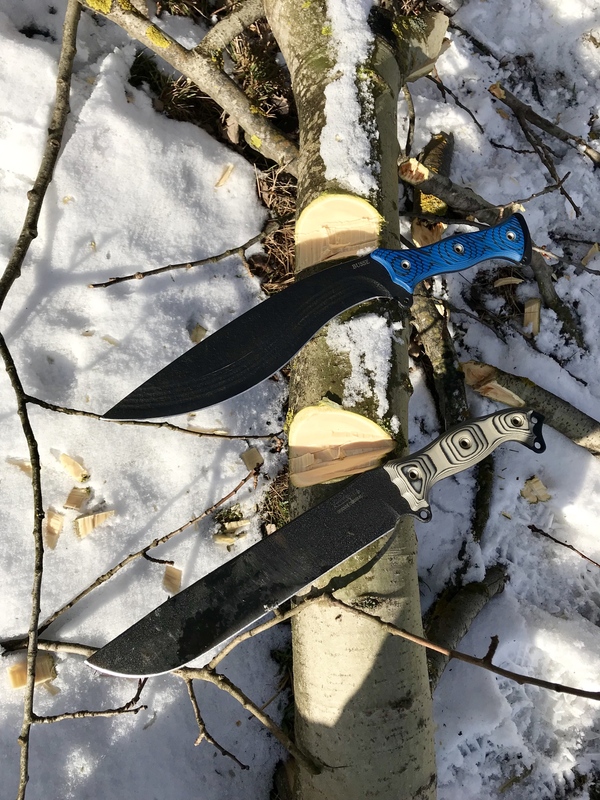 HUCKs forward ballanced blade is a beast and it chops wood as a butter, but it can’t beat my NMFBM (original run .250 thick). I really hope that someday I will have a chance to find some NMFBMLE. 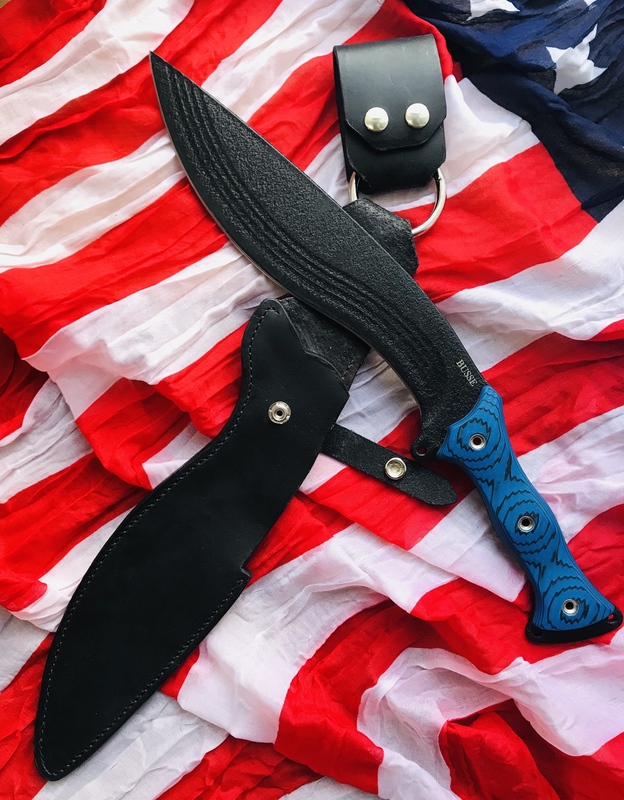 I’ve always wanted kukri but never had luck with traditional knives made in India. If you're going to make that statement, you might want to check over your shoulder first to make sure that there are no Nepalis standing behind you. Especially not Gorkhalis or Limbus with large knives. Khukuries are impressive and efficient choppers. I have owned HI khuks since the late 90's. 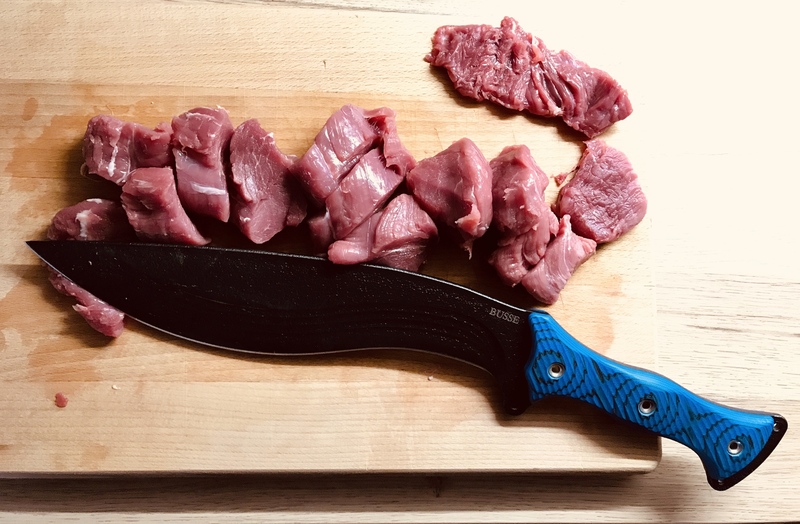 There workhorse knives, most being half an inch thick or thicker. The huck looks like it takes it to another level. I recently got one but have not used it. Looks to be a great performer from your review. 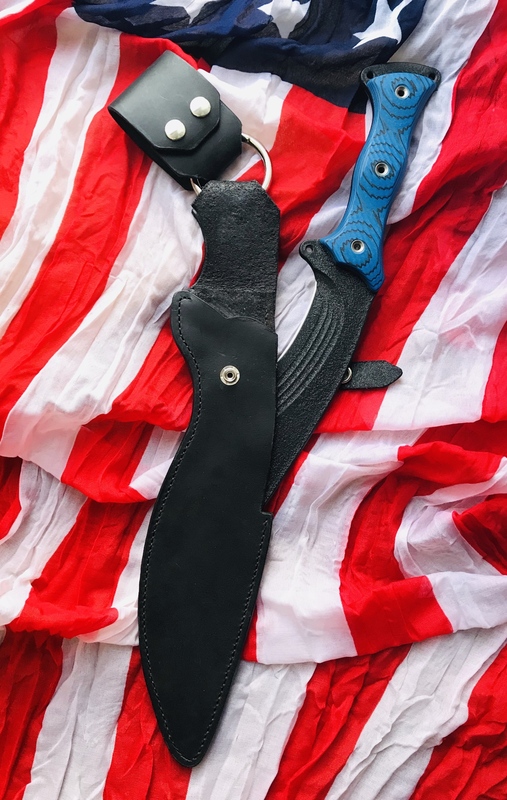 The Huck Fin is going to be my next knife to buy soon...in 2 weeks. I need one to clear the bushes around my land up to the river in backyard. Glad you're beating the crap out of it with merry and glee! Crosier and gorshi like this.